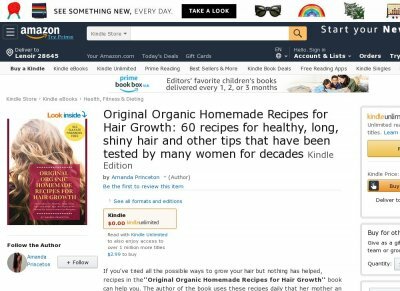 If youve tried all the possible ways to grow your hair but nothing has helped, recipes in the Original Organic Homemade Recipes for Hair Growth book can help you. The author of the book uses these recipes daily that her mother and she have collected. Her mother of Slavic nationality has always been distinguished by beautiful long hair. Many of their girlfriends are happy with the use of this recipes. With regular hair care and the use of these recipes, you can restore and revitalize your hair.